Labour leader Ed Miliband has promised to deter firms from exclusively employing workers from overseas, admitting his party “got it wrong” on immigration when in government. He said Gordon Brown and Tony Blair should not have allowed uncontrolled immigration from new EU states in 2004. He also pledged to ban recruitment agencies which use only foreign workers at the expense of “local talent”. But the Conservatives said Labour had “no credibility” on immigration. In 2004, the government allowed free migration to the UK for workers from EU accession states including Poland, Hungary and the Czech Republic. But its estimates that only about 13,000 people a year would come to the country were soon proved wrong, with a peak net migration figure, from the EU and elsewhere, of 252,000 in 2010. Some countries imposed transitional controls to slow the speed of movement. In a speech to the IPPR think-tank, Mr Miliband said: “It was a mistake not to impose transitional controls on accession from Eastern European countries. We severely underestimated the number of people who would come here. We were dazzled by globalisation and too sanguine about its price. He said Labour had told people concerned about the biggest peacetime migration to the UK to “like it or lump it” and that the public had been “ahead of us” on the issue. Many in the party blamed the effects on immigration, including the lowering of wages and pressures on social services, for the scale of Labour’s defeat in the 2010 general election. Acknowledging that this was a factor, Mr Miliband said some employers had a “nasty, brutish and short-term” attitude to taking on staff, leading to greater exploitation of overseas and British workers. He added that cutting numbers of immigrants was part of the solution but “not enough”. He also accused the government of being unrealistic in saying it will limit net migration to “tens of thousands”, as the vast majority of those coming to the UK were from EU countries. He said he would not make “promises that can not be kept” on cutting immigration from within the EU, which is beyond the control of British governments. But he would seek ways to “level” the playing field for British workers in the jobs market. And he vowed that a future Labour government would introduce “maximum transitional controls” to limit migration if the EU expanded to include more countries. The Labour leader said there was “nothing wrong with anyone employing Polish builders, Swedish childminders or French chefs”. For the Conservatives, immigration minister Damian Green said: “Until Ed Miliband supports the government’s measures to cut and control immigration, Labour will have no credibility at all. “Under his leadership, Labour have opposed our aim to get annual net migration down to the tens of thousands, and they have opposed the cap on economic migration, our changes to student visas and our reforms to family visas. Shailesh Vara, the Conservative MP for North West Cambridgeshire, called for an apology from Mr Miliband. 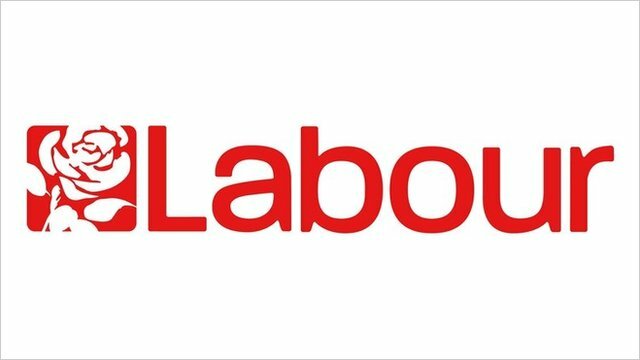 Sir Andrew Green, head of the Migration Watch think tank, told the BBC that Labour’s “real concern is that they’ve lost an awful lot of their own supporters, who of course are the people who, mainly, suffer the consequences of immigration on this scale, in terms of social housing and so on and so forth”. But he added: “I think the other thing that was wrong with this discussion is that there’s been a lot of focus on EU migration. The question is can UK manage mass immigration and why is it important to the economy the answers lays with the three main political parties to answer. If you ask any joe block this question they may just confirm that they(immigrants) are taking over the country and jobs. I say to them don’t be hoodwinked by the media and political parties pandering to them. In some sense I do agree that we need proper training from our home grown people who are on Job Seekers who are doing their best to gain employment. Which leads to say that our communities need a overhaul culture change. Let’s not forget that communities remains strong when we are united. Some will say that some unemployed are lazy and they don’t want to work and they are forced to get a job. There maybe some truths in it but those are very small minorities. I’m sure that most will agreed that a multicultural society is the best model compared to the 50s or earlier. What Ed Miliband was speaking of about was both controlled and uncontrolled migration which some will disagree but read the context of the speech and we all can learn something new. But there are still die-hards who cannot accept change which is a shame. Yes any political party who runs a country can get wrong. However it takes courage to say so. Both previous and present govts had got it wrong. Many people fears by having a debate about our country allowing immigration to be discuss will be branded a racist. I’m proud of who I am. A son of a immigrant whose parents worked hard to food on the table, educate us and landing the job that we were trained to do(in some case). I’m not for one moment implying that we should allow our public servants not to be held to account. We elected our Member of Parliament(MPs) to be accountable to us. I concur that there are a few bad apples who abuse the system to come into this country to exploits it for their own benefits. Those are the culprits that we should sent back their country of origin. I could argue that their are some small foreign or UK companies who milk the system. I can go as far to say that I have come across a few small companies who continues to lay conditions down to the Job Centre Plus that they want job seekers for six months to see if they are willing to do under the conditions that the Job Centre Plus continues to pay them( Job Seekers) to train to gain. The horror of this is that small, and medium businesses to use this as a loophole with no intentions of paying the job seekers who are looking for employment this the case of some small recruiting companies for legal reasons I cannot name and shame them in public. This what both Labour and coalition should be focusing on and working to put a end of bad practices like this but. To me it’s it’s all talk and no action for the moment. After all the excuses they still receive late payment they still have not received their payslips this can go on for weeks and months. Yet the whistle blowing policies has too much loopholes when workers report their concerns they are the ones who end up with lose jobs because the company directors takes it personal against their employees who dares to stand up to the bully boys and gals. Ed Miliband is right when he cannot keep promises on policies lets be frank and honest not even the conservatives could make a promise like that let alone their partner in crime the Fibdems. Who can remember the Fibdems broken promises can someone remind them. Er mnm could it be tuition fees. Anyone cares to concur or disagree. Ed Miliband insists he wants a “sophisticated” discussion about immigration, moving beyond questions about overall numbers to considering the impact on people’s daily lives. The Labour leader makes the valid point that anyone concerned about immigration or who wishes to discuss the issue is not necessarily a racist bigot. Yet he risks inflaming public opinion by his language of British workers being “locked out” of jobs filled by foreigners and his arbitrary demand that employers tell local job centres if more than one in four of their staff is from overseas. This would, he asserts, enable government agencies at national and local level to work out the skills areas that need strengthening among unemployed British residents. His formulation that working people need an economy that offers them “a fair crack of the whip” sounds very reasonable, but what the country’s jobless millions need is not a fair crack at existing jobs but a wholly new situation. 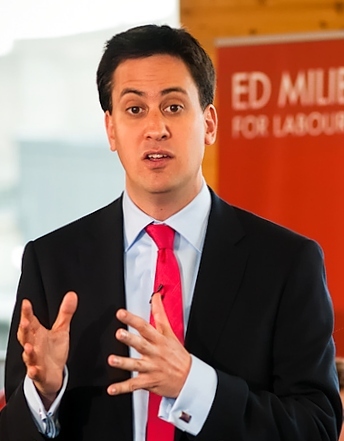 While disclaiming responsibility for new Labour’s enthusiastic embrace of free-market globalisation, including open borders for EU new entrant states, and Gordon Brown’s demeaning of worried Labour voter Gillian Duffy as a “bigoted woman,” Miliband still links immigration to the problems experienced by working people in Britain. He is wrong. Problems related to employment, income levels, housing and insecurity are caused by the free-market capitalist economic model. And the immigrants who come to work in Britain, usually in jobs marked by harsh physical conditions, long hours or low pay, are equally victims of the system British workers. They come here because, as challenging as the jobs are that they take up in Britain, they surpass what is available in their own countries, allowing them to earn their own living and often sustain family members at home. Working in payment-by-results agriculture, in hotels and hospitality or in private care homes for the elderly is not an easy option. Not everyone is able or willing to take the conditions. If the Labour leader’s investigation shows that these areas of work routinely have over a quarter of staff coming from overseas, will he conclude that unemployed British workers should be trained to do them? Miliband ought to be aware from Labour election canvassers that working-class discontent is pretty widespread. It’s not just about jobs. Many working-class people complain about the lack of affordable rented housing, causing families to split up and live miles apart. They compare their meagre take-home pay with the multimillion-pound rewards for City slickers and the kid-glove treatment of the wealthy, noting that the rich have to be tempted with carrots while workers are encouraged by the stick. They are not happy about being abused as wildcats or scroungers by comfortably off politicians who, not content with aiding and abetting the bankers, also helped themselves to shed-loads of public money through unjustified expenses claims. They are alienated, they have switched off and too many see no hope of change, which is why the level of electoral abstention climbs ever higher. None of that can be laid at the door of immigrants, “bogus” asylum-seekers, economic migrants or any of the other bogeys conjured up for public consumption by politicians and media. Miliband should put aside such shabby stereotypes, deliver a more trenchant critique of contemporary capitalism and move away from cosy Establishment policy convergence to consider a more radical approach. NHS managers in England have been accused of “shocking discrimination” in commissioning mental health services. The Mental Health Policy Group from the London School of Economics said three-quarters of people with depression or anxiety got no treatment. The committee of senior academics and medical professionals described this as a “real scandal”. Care Services Minister Paul Burstow said mental health should be treated as seriously as physical health issues. The committee is headed by economist Professor Lord Richard Layard and includes some of the country’s most eminent mental health experts. Mental illness can manifest itself in physical symptoms and the group of experts estimate such symptoms cost the NHS at least £10 billion. Much of this money would be better spent on psychological therapies, they claim. ‘Despite the existence of cost-effective treatments it (mental illness) receives only 13 per cent of NHS expenditure,’ they write. He said: ‘If local NHS commissioners want to improve their budgets, they should all be expanding their provision of psychological therapy. ‘It will save them so much on their physical healthcare budgets that the net cost will be little or nothing. The report concludes: ‘Mentally ill people are particularly vulnerable. ‘They are often afraid to seek help or even say they are unwell, and so are their relatives. But they represent nearly one half of all health-related suffering in this country. Sane chief executive Marjorie Wallace said: ‘We are at an all-time low in the response of mental health services to people with severely disabling mental illness. ‘While the Government has put money into psychological therapies, on the other hand resources are being drained from the fundamental care and treatment of people in crisis, those in need of in-patient care such as the suicidal, and those in the community where the cuts are depriving them of the few things that make their lives more tolerable, such as day centres, clubs, activities and occupation. Mental Health Foundation chief executive Dr Andrew McCulloch added: ‘The report underlines the fact that mental health remains a poor relation to physical health despite the major links between depression, diabetes and heart disease, for example. The Royal College of General Practitioners said that GPs are facing an ‘upward spiral’ of patients suffering from mental illness. Professor Clare Gerada, chair of the RCGP, added: ‘GPs face tremendous challenges in caring for patients with mental health problems in primary care and we welcome any development which will help us improve their care. ‘Talking therapies have the potential to transform thousands of patients’ lives and we applaud Lord Layard and his team for their efforts to extend the programme further. Sarah Brennan, chief executive of Young Minds, said: ‘Lord Layard is right to highlight how mental health is often the Cinderella service of the NHS. Yet the picture is even worse for children and young people’s mental health where for every pound spent by the NHS less than a penny is spent on Children and Adolescent Mental Health Services. Care Services Minister Paul Burstow said: ‘Mental ill-health costs £105 billion per year and I have always been clear that it should be treated as seriously as physical health problems. ‘We will shortly publish our plans to make sure the NHS, councils, voluntary organisations and others can play their part in improving the nation’s mental health. ‘The Coalition Government is investing £400 million to make sure talking therapies are available to people of all ages who need them. It said the NHS in England was guilty of injustice in its treatment of people with mental illness. The group’s report found that among those aged under 65, nearly half of all ill-health was mental illness. It said six million people had depression or anxiety conditions and yet three-quarters got no treatment. This was often because NHS managers failed to commission properly the mental health services recommended in official guidance, the experts added. They said £400m earmarked by the government for psychological therapy was not always used for its intended purpose because there was no obligation on managers to do so. The committee concluded that mental health services should be expanded, but if anything it was being cut. Lord Layard said: “If local NHS commissioners want to improve their budgets, they should all be expanding their provision of psychological therapy. “It will save them so much on their physical healthcare budgets that the net cost will be little or nothing. Mr Burstow said investment in mental health services was “already delivering remarkable results”. “We will shortly publish our plans to make sure the NHS, councils, voluntary organisations and others can play their part in improving the nation’s mental health. Where can I start from to discuss this subject on mental health. to begin with I had two members of my family who suffered from Mental Health problems many years ago which led me into a career in with with people who had mental health problems years later as a support worker then a Social Worker Assistant. Since the introduction of the Community Care Act that came into force we have seen the support services for people with mental health went down by the wayside. many of the carers can tell you from the their own experience that they have seen love ones either died or they have gone further into depression with little or no support from the NHS or the Government all they get is acknowledgement of tokenism which does little for both the sufferers and carers. I will leave you with a few words from a services user carer who once said to me “IT’S a sad and lonely existence for both of us, boring and unfulfilled, scary and life-changing,” explains Jean de Carteret, who cares for her schizophrenic son. Jean, 66, who lives in Broxbourne borough, hopes by telling her story she can raise awareness and understanding of mental illness. “Caring for someone with a mental health problem is an intensive commitment which can span a lifetime. For me it has been a life-changing experience from which I will never escape. “Few people realise that it robs both the carer and the sufferer of a normal life and can cause enduring mental health problems, which can change alarmingly from reasonable recovery to sudden relapse, but also heartache, poor physical health and lower life expectancy. She continued: “However, I don’t feel sorry for myself. I have been a carer for so long it has become a way of life for me and I have become used to shouldering the responsibility that goes with this unpaid labour of love. “Years ago that responsibility became very clear to me, when my late brother pleaded with me not to send him into a secure mental health unit again, when he was unable to keep food down. “He had been sectioned countless times and was living in a hostel at the time. I insisted that he should be given a full physical examination. He could only eat soup and drinks liquids and after the tests were carried out, it turned out he was dying from oesophageal cancer. “He went into a general ward in a hospital where he died soon afterwards, but with dignity and peace. That taught me to always listen and take very seriously the concerns and wishes of your loved one. “That was my first experience with schizophrenia. The second was after my son, who had an IQ of 164, was fooling around with skunk cannabis with his mates during his first year at university. “He said it felt like his brain moved and he threw up and had a shaking fit in his room. He was like a zombie afterwards and the left side of his head was very tender. “He could not write, speak or read and was hallucinating and hearing weird things and became paranoid and stunned. “Doctors said they believed the drugs had triggered schizophrenia and this was later confirmed. His sleeping pattern was irregular, often 18 hours at a stretch, then awake all night. “There was the usual dismantling of clocks and speakers and childlike questions that a five-year-old would ask. For us as a family, there were lots of tears – we felt as if there had been a bereavement. Jean says that on a good day her son might get up at around noon, having gone to bed in the early hours of the morning. She said: “I have to make sure he has taken his medication during the day and in the evening. Sometimes I forget and so does he. He has no friends, so I might drive him out for a McDonald’s and we’ll eat it in the car park, or we’ll go and see a 3D film. Sometimes we’ll go for a stroll, but he has little energy and gets out of breath. “He used to have friends, but they have lost touch over the years, so I’ll chat about politics, TV or our cats just to engage him in conversation. I know he’d probably prefer to talk to friends about music, women or computer games. “Every day is much the same although I look out for signs of a dip in his behaviour. But Jean’s life has also changed, she explains: “At 66 I can no longer be carefree, plan my retirement, enjoy days out or long lunches with friends. She continued: “The problem with mental health is that it is still so stigmatised and very few people can empathise with it, let alone offer you sympathy. People know I am a carer, but I can count on one hand the number of acquaintances and friends who ever ask ‘How is your son?’ or say ‘Tell him I said hello’. “The few who do are the ones I value most nowadays, because they take the time to share my predicament, if only for a few minutes. Jean says the support she has received from the Hertfordshire Partnership NHS Foundation Trust has been invaluable. This one example that both the medical profession, social workers and carers have to put up with then the previous and present governments continues to pay lip services to people who have a mental health and learning disabilities. The authors of the report say that the under-treatment of people suffering from mental illnesses is the most ‘glaring case of health inequality’ in Britain. MPs voted 290-252 against an investigation into the way Jeremy Hunt handled the BSkyB bid, giving the Government a majority of 38. It followed a Commons debate in which MPs questioned whether Mr Hunt should be investigated for allegedly breaching the ministerial code in his handling of News Corp’s attempt to take full control of BSkyB. Lib Dem leader Nick Clegg called on his MPs to abstain from the vote, although he does want David Cameron to launch an investigation into the Culture Secretary’s conduct. The Deputy Prime Minister has repeatedly told Mr Cameron the case should be looked at by Sir Alex Allan, the independent adviser on ministerial interests. Despite this, he gave his strongest backing yet for Mr Hunt during his appearance at the Leveson Inquiry, saying he believed he had given a “full, good and convincing account” of his involvement in the bidding process. 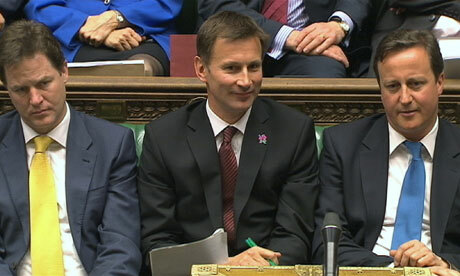 Mr Cameron also backed Mr Hunt during Prime Minister’s Questions, telling the House Sir Alex had told him in a letter the adviser felt he could not “usefully add” to the case. But the opposition motion called for Sir Alex to consider whether Mr Hunt misled Parliament and failed to take responsibility for his special adviser Adam Smith. Mr Smith resigned after admitting his contacts with News Corporation had been too close. Deputy Labour leader Harriet Harman told MPs during the debate: “There is prima facie evidence that the Secretary of State failed to give accurate and truthful information to the House. “At the very least, there is prima facie evidence that the Secretary of State failed to take responsibility for the management and conduct of his special adviser. He added: “I wish to draw the House’s attention to the very important distinction between inadvertently misleading this House and lying. The Lib Dem decision to abstain was said to have received “unanimous support” at a meeting of the parliamentary party on Tuesday night. It was the second time they have abstained in mass from a Commons vote while in government – the first related to Mr Cameron’s use of a veto at an EU summit. Lib Dem spokesman Don Foster told Sky News: “Nick Clegg is very firmly of the view that other questions, particularly in relation to the ministerial code, still remain and these should have been appropriately investigated. Mr Clegg is reported to have discussed the matter with Mr Cameron on a number of occasions in recent weeks, and to have told him the Culture Secretary should be subject to a probe. Evidence of the coalition split will intensify pressure on the Prime Minister to call in Sir Alex for an independent assessment of whether the ministerial code has been breached. He is facing accusations of double standards after calling an investigation into Tory chairman Baroness Warsi, who has admitted failing to declare business links with a relative who accompanied her on an official trip to Pakistan. What a week we all witnessed the Diamond Jubilee of the Queen(I’m more of a Republican not a royalist). The other events were the Jeremy Hunt at the Leveson Enquiry and the Trial of Egypt former president. Let’s hope one day we all will see closure for the Egyptian people and peace will return to the country and can live in harmony with each other. The law of the country has handed down the sentence for life in prison to the former president. It’s been some suggestions that the courts did not do enough to ensure that the rest of the former hence men of former president. Well that is democracy for you and that the citizens of Egypt has to come terms. Many people want to have democratic country in Egypt with reform. Reform takes time to come and a long process that follows it. Egyptians can help by help to rebuild the country after the topple of the president. Coming back to the vote in parliament yesterday. Jeremy Hunt has denied Labour claims that he lied to Parliament over his handling News Corp’s proposed takeover of BSkyB, amid furious scenes in the House of Commons.